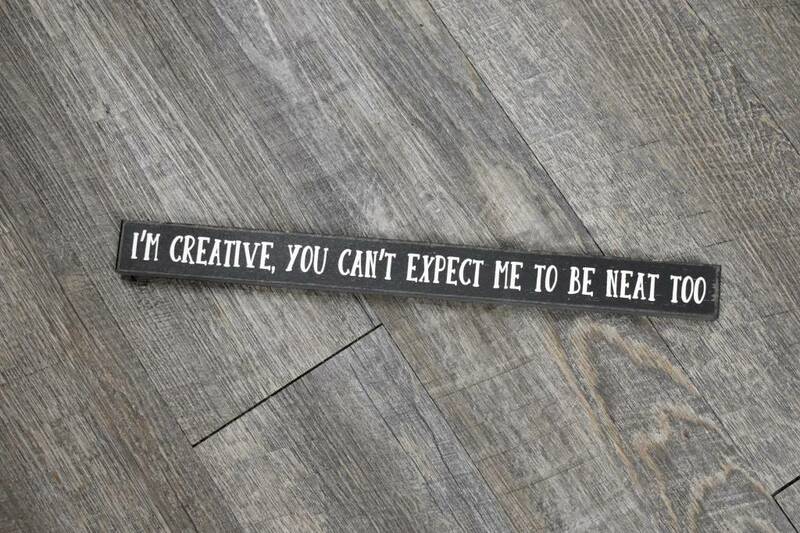 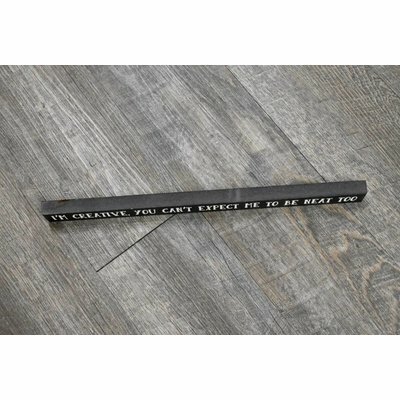 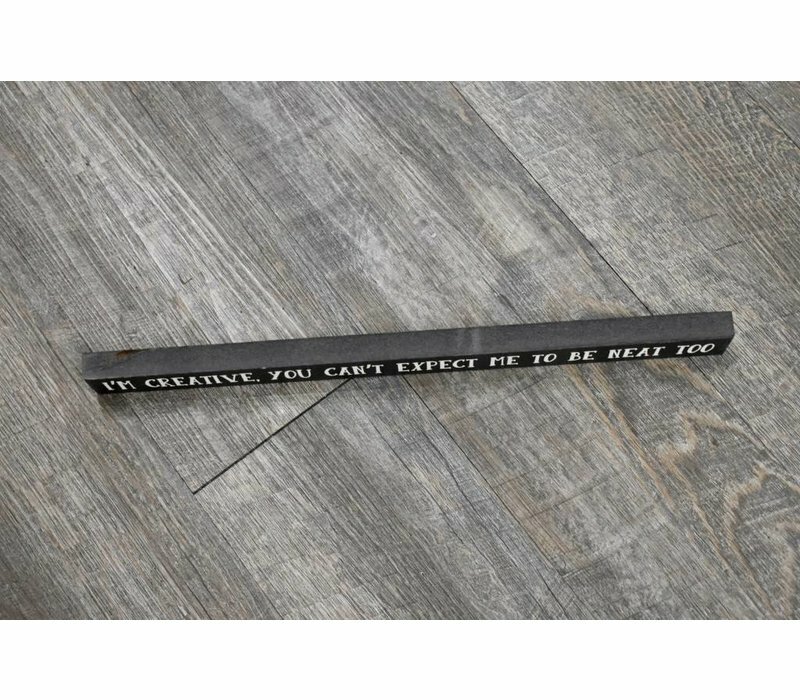 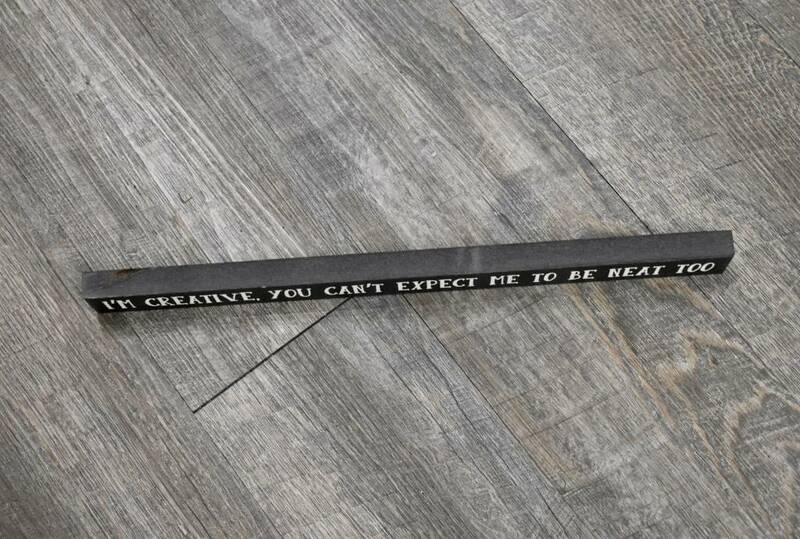 "I'M CREATIVE, YOU CAN'T EXPECT ME TO BE NEAT TOO" skinny wooden sign. 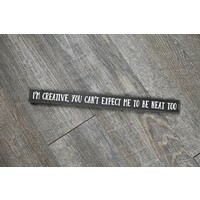 American made wooden sign. 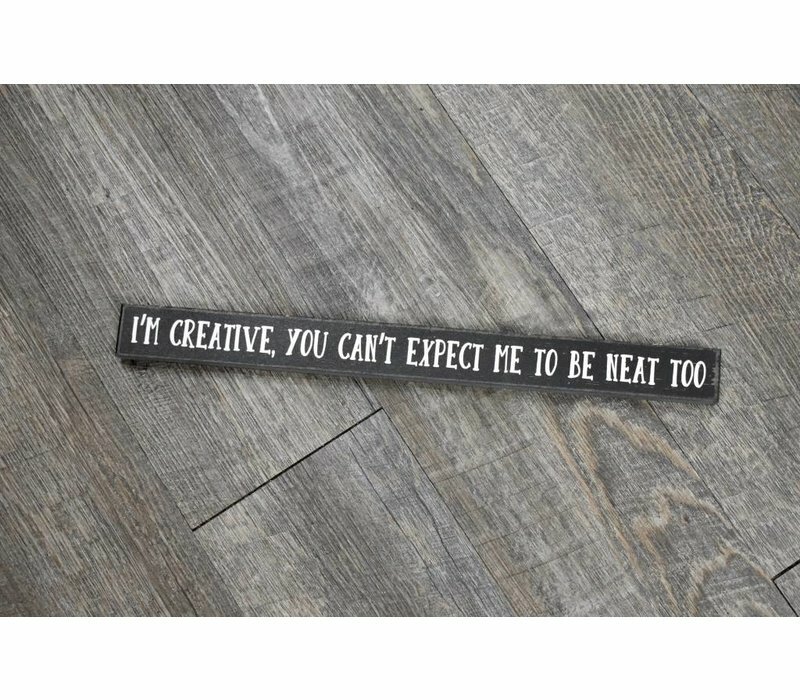 A great gift, or fun addition to your home decor! 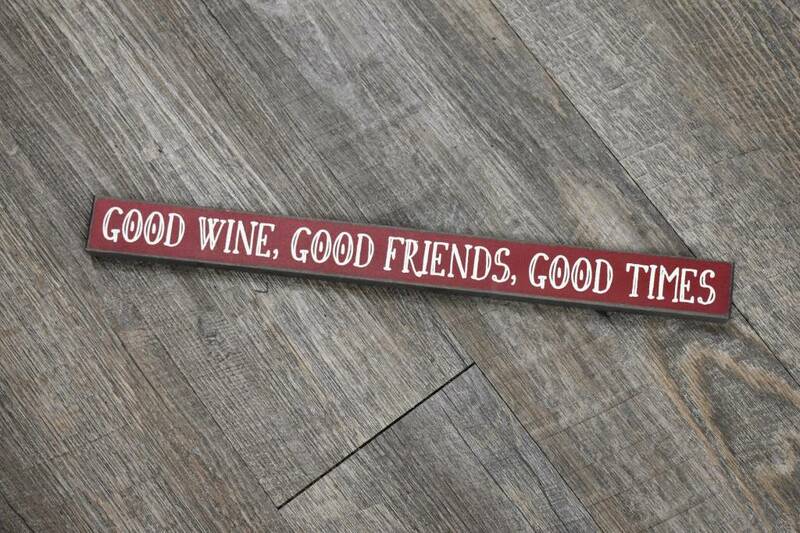 Each sign is designed, cut, printed and packaged - right here in the good ol' USA! 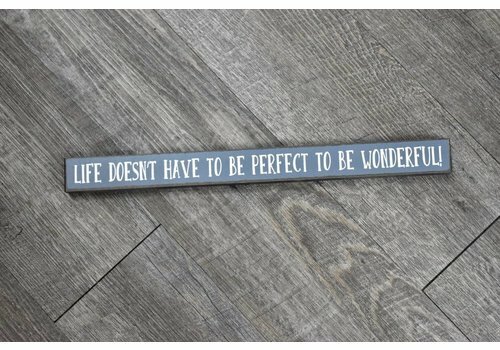 Sign measures 16" x 1" x 1.5"
"LIFE DOESN'T HAVE TO BE PERFECT TO BE WONDERFUL!" 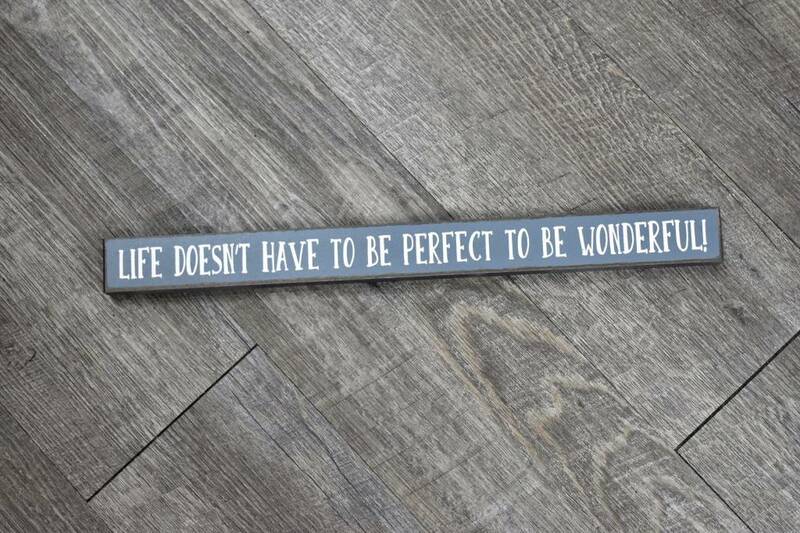 skinny wooden sign. 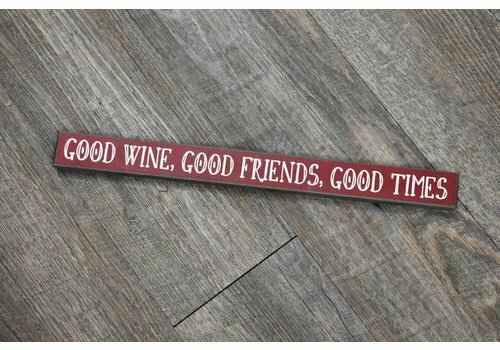 "GOOD WINE, GOOD FRIENDS, GOOD TIMES" skinny wooden sign.